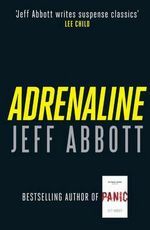 A highly regarded thriller writer already, Jeff had a pretty hard job to come up with another book as action-packed as Panic. But he has done it. Sam Capra is a UK based CIA operative. Healthy, happy and young, he’s married to Lucy, and the two are expecting their first child any time, but then a disaster changes everything. One day as he enters a meeting, he gets a call from his wife. He leaves the building, as she tells him, and as he stands outside, the whole building is destroyed by a bomb. All his colleagues and the others in the place are killed, and as he stares in horror, he sees his wife driven away, clearly distressed. This is the great start to what ends up as a fairly conventional one man against the world thriller. The beginning is taut, clear, and very gripping. The story goes through Capra’s doubts about his wife, the questioning, and the demolition of his career in the CIA, because all his colleagues expect he must be a traitor or a fool – why else would he leave the building just before the bomb? But then he gets some clues about the perpetrators, and soon he is on their trail, helped by a lady who works for another shadowy organisation. She wants them as badly as he does. The story moves from England to the US, to Holland, and back to the US again, and the action doesn’t stop. It’s a bit ‘Bournesque’ in some ways, but there’s enough interest in the lead character to allow the reader to suspend disbelief. I did end up feeling that the middle section was a little slow, and I almost got the impression that this was going to be a different story at certain places – there are elements of technology that could have been made more use of – but in the end, what the hell? It was a good, fun, exciting read, with loads of tension, some different action scenes and the clear pointer towards a follow-up or three. And you can’t ask more than that from a thriller.